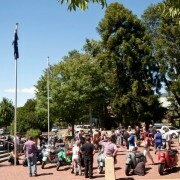 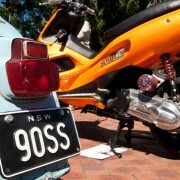 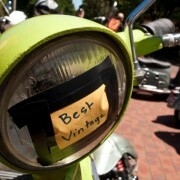 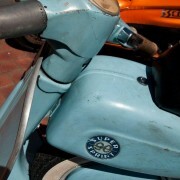 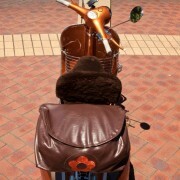 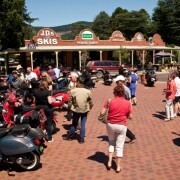 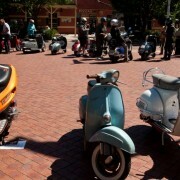 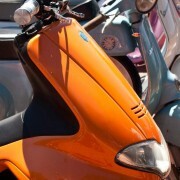 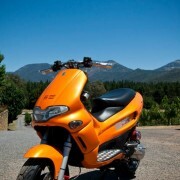 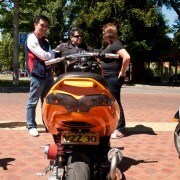 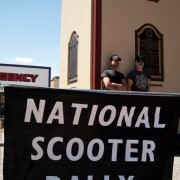 The first weekend of Feb held the National Scooter Rally in the Alpine regions of VIC. 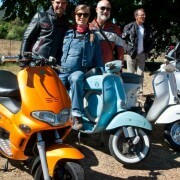 With our SS90 (Best geared Vespa under 150cc) ridden by my wife Fiona and soon to be expected baby -‘scooterist in belly’, our gorgeous GS 160 owned by Mark LeCornu and our latest build, a custom Gilera Runner thrown into the mix of brand new auto 4 strokes, our 2 stroke machines reveled in the brisk air of the Australian Alps. 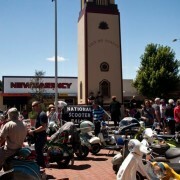 Thanks to Sharon Heritage for organizing a brilliant fun event with great rides, and to all the guys from Melbourne, QLD, the cool dudes from Canberra Swarm and the Adelaide riders: see you all at the National Classic Rally in Sydney in October. 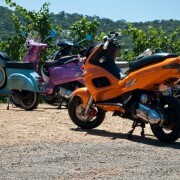 Enjoy our Photos!